For homesteaders far from urban centers, one of the best parts of having property in the countryside is the ability to see stars at night. If you have trouble seeing the stars, though, light pollution may be to blame. Here’s how to reduce light pollution. Luginbuhl says the clearest definition of light pollution is “any introduction of artificial light into the night time environment can be looked at as having polluting aspects whether or not it also has positive impacts.” In layman’s terms, artificial lights glares into our eyes and illuminates the night sky making it hard or impossible to see things like stars and galaxies. Most people do not think of light as a pollutant, but the prevalence of artificial lights is disruptive to the nightscape. While Luginbuhl recognizes the benefits of adding artificial light during the night for commerce and nighttime navigation, he says that we must recognize the impact of artificial light to the natural environment. Why should I reduce light pollution? 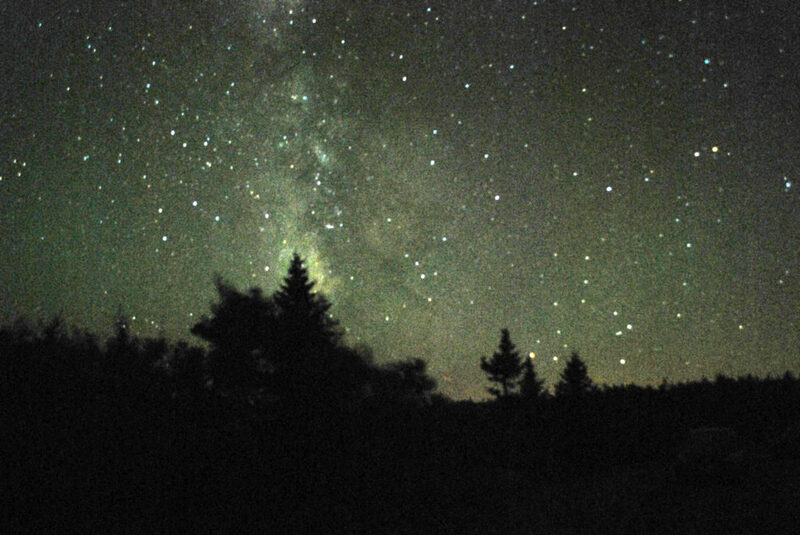 Besides obstructing your Milky Way views, light pollution impacts wildlife. Studies have shown that artificial light and lack of natural darkness in lightscapes has impacts the navigation and communication of nocturnally migrating birds, fireflies and sea turtle hatchlings. Darkness is also important for your health and well-being. Our circadian rhythms depend on natural light, and the prevalence of artificial light at night can disrupt essential immune functions that are active during sleep. Light pollution has also been correlated with suppressed melatonin production and increased rates of cancer, particularly in older women. Research conducted on night-shift workers exposed to more artificial light have an increased risk of certain types of cancers and chronic diseases. Using unnecessary night lighting expends valuable energy and the resources used to produce it. Plus, it can raise your electric bill. How can I reduce light pollution? The cheapest, easiest way to reduce light pollution is to be cognizant of the lights you keep on at night. If you have lights on in your house, close your shades to keep that light from seeping into the dark nightscape. Install lights only when and where they are needed, and consider installing reflectors to outline a driveway instead of lights. Turn off your porch lights at night (according to the Washington Post, evidence is mixed as to whether night lighting reduces crime, anyway) and keep yard lights on timers or motion sensors. When shopping for lighting, purchase International Dark Sky Association-approved light fixtures for your property. Make sure your light fixtures are shielded so light shines downwards instead of glowing up or out to the sides. Luginbuhl says to opt for yellow light fixtures, often labeled as “bug lights,” which will eliminate the blue and green light that impacts our vision. He warns to choose LED lights carefully; while they are more energy efficient, many also emit white light, which mimic the daylight. “LEDs are being very much marketed as white lights with just as much blue and green and yellows and reds: the more it is like daylight the better it is,” Luginbuhl explains. “That’s not a very smart way of thinking about it. White light at night is unnatural.” If you get LED lights, Luginbuhl says, look out for yellow or “amber” labeled lights. If you have already changed your habits at home and want to make more of an effort to reduce light pollution in your community, spread the word to your neighbors and raise awareness about light pollution. Encourage your lawmakers to adopt a lighting ordinance to promote dark sky-friendly light habits in your community (the International Dark Sky Association released a Model Lighting Ordinance in 2011 as a guideline).